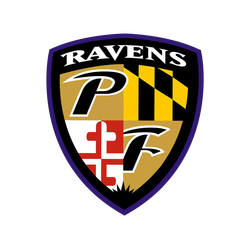 Discussion in '2019 Forum Mock' started by RavensMania, Jan 30, 2019. I'm surprised Trayveon Williams made it that far. I'm not sure he's as good as many people are letting on, but he's still one of the few guys that I think actually has strong 3 down value in this class. Don't remember who exactly posted some gifs about him..might have been Edgar or Jacquille.. He's a very solid blocker as well. @Truth @Jacquouille I think your picks are numbered wrong. Also you have one more pick. 2nd to last pick in the 7th round. I can trade you a depth RT Erik Magnuson for that 7th round if you'd like. I sent you a message regarding the 7th round pick. For sure, I’ll have to jump on board early next year to participate in the free agency period. At the very least, this got me a bit more prepared for my fantasy dynasty drafts coming up. Got to look into the draft prospects a little early. Jaylon Ferguson has visited us 3 times. I'm here. Just settling in after a wild day. The picks will be in within the hour. Done. We have one week left, can we finish before the real Draft starts next Thursday? I won't lie. I didn't see any of Anthony Ratliff-Williams until after my last selections were made. At that point, I panicked and started sending out as many trade feelers as I could lol I've only caught his highlights, and he's raw. But man, is he intriguing from a talent standpoint. He stood out to me when I was looking at another guy. I was hoping I could grab him in the 7th. @Truth just to make sure you're aware, the 49ers are still on the clock with a 2nd pick. Not sure if you were given a board or what, but just wanted to make sure that didn't slip through the cracks accidentally. I very much appreciate the heads up. I don't have a set board in place. So RavensMania is away on an important business trip, and I've been texting him. I was able to confirm the Haynes pick right before I posted it, and I'm waiting to hear back on the second selection. I'll have it up as soon as I hear back from him. Got it. I was 99% sure that was the case, but just wanted to make sure you were aware he was back-to-back. Good to hear. Honestly, I might see him going in the middle rounds. I thought his pro day workout looked sharp. He likely would've benefited from another season in college, but I really like what I see as far as traits go. He's a playmaker. And I definitely appreciate that. Thanks for looking out. Just got the go-ahead and the pick is in. @Taze is OTC with @Adreme to follow.